Moles are considered beauty spots by many… but some are more beautiful than others. Sometimes moles are present in inconvenient places or simply do not look attractive. In rare cases, moles can be considered precancerous, and must be removed. Skin tags form anywhere on the body and commonly occur on the eyelids, face, neck and body. 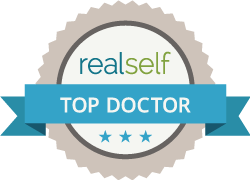 No matter why you seek Surgical Mole Removal or Surgical Skin Tag Removal, in Edgewater or Hoboken you will find excellent expertise at the Edgewater and Hoboken Cosmetic & Laser Centers. At our center we know it is essential that you turn to qualified professionals and surgeons who can not only ensure that a mole or skin tag is effectively removed but also that the removal site looks excellent afterwards, from a cosmetic perspective. What are the ways to remove a Mole or Skin Tag? There are two primary methods for Surgical Mole Removal. Shave excision is the method primarily used for larger, raised moles. It entails the use of anesthetic and a small scalpel to shave the protrusion of the mole so that it becomes flush with the skin. Smaller moles can be removed by having the surgeon excise the mole from the skin with a precise surgical blade. He then stitches the wound closed with plastic surgical closure. With Surgical Skin Tag Removal, a small amount of local anesthetic is placed in the area and the skin tag is completely excised at the base. With both cases, the skin typically heals within a few days to a week. At Edgewater and Hoboken Cosmetic & Laser Centers, Dr. T.G. Khan, Fellow of the American College of Surgeons, ensures that your Surgical Mole Removal and Surgical Skin Tag Removal will be conducted in the least invasive and most cosmetically sound way possible with minimal to no discomfort. Why should I go to the Edgewater and Hoboken Cosmetic Center for Mole or Skin Tag Removal? With Dr. T.G. Khan’s broad training in surgical and non-surgical cosmetic procedures and his expertise in reconstructive surgery, you can feel confident knowing that your mole or skin tag is going to be removed in a manner most conducive to improving your appearance. Knowing that you are having your Surgical Mole Removal at a highly regarded aesthetic center like Edgewater and Hoboken Cosmetic & Laser Centers should give you a certain confidence and comfort level. After all, Dr. T.G. Khan will use every aspect of his expertise to ensure your Surgical Mole Removal or Surgical Skin Tag removal either turns your unsightly mole or skin tag into a lovely beauty mark or makes it disappear from view with little trace of the procedure evident. To find out more about surgical mole removal and surgical skin tag removal, call Edgewater and Hoboken Cosmetic & Laser Centers today, at 201.313.8899 to set up an initial consultation. Isn’t it time for that mole or skin tag to go?